Georgia’s pilgrim tour takes you on a journey into the history of Christianity as you follow the footsteps of St. Andrew. Georgia’s pilgrim tour isn’t specific to Christians, alone - people from any religion or denomination can lose themselves in the history of Georgia while learning about the mission carried out by St. Andrew and, later on, Simon of Canan and St. Matthias. The purpose of the mission was to spread the word of Christianity and began in the 1st century. The Meskheti region of Batumi was a place of historical and religious significance, as it is claimed that St. Andrew made many miracles happen there. The caves of Vardzia were once shelter to about 50,000 people … you can still see today the frescos carved into the church cave. The Svetitskhoveli Cathedral in the Uplistsikhe Cave Town is the burial home to the Robe of Christ. The Samtavro monastery was built in the 4th century and remains one of the oldest churches in Georgia. 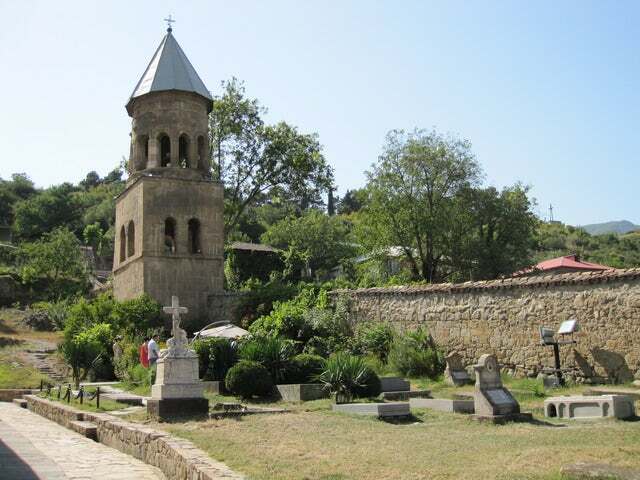 The Kakheti region is the final resting place of St. Nino. Drink from the spring that is said to cause miracles. Winemaking was very much a part of life in the monasteries of Georgia (and remains to today) - visit a 300-year-old wine cellar in Kakheti. 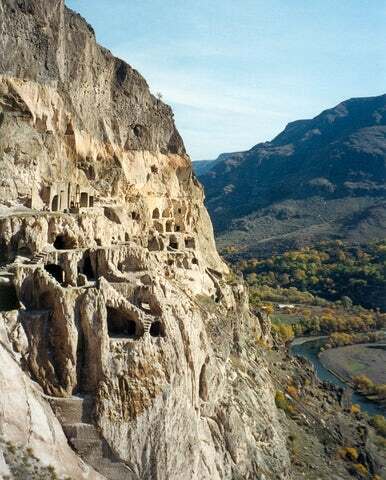 The David Gareja cave complex was once home to about 6000 monks during days of religious significance. The Udabno Monastery is a treat, with the stunning views spanning Azerbaijan and the beautiful painted caves. Tbilisi is an old city built upon religion - its architecture is unique to the faiths. The Georgian National Art Museum has displays of many Georgian religious artifacts. Regardless of your faith, Georgia’s pilgrim tour carries with it a spirituality that touches the heart and soul of any who follow the steps of the apostles. Book your trip to Georgia today!